The number one bookmaker in Nigeria, NaijaBet, in collaboration with Micro Cash otherwise known as mCASH and FirstBank has unveiled additional USSD codes to fund your NaijaBet account instantly and seamlessly. 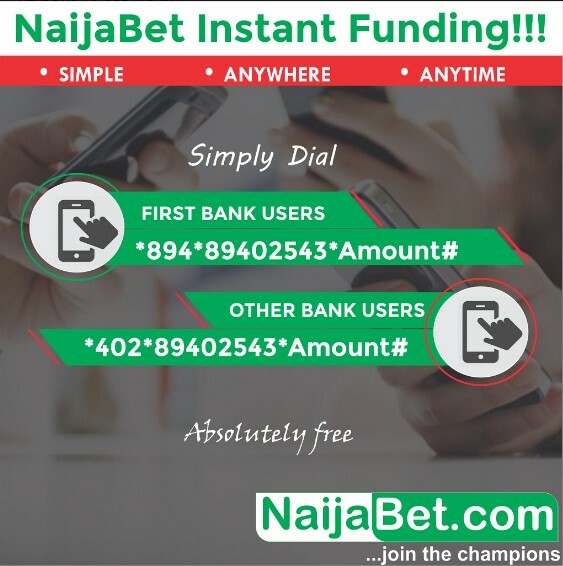 This innovation is to provide alternative ways for users to fund their NaijaBet account and give users who have accounts with any of the partnering banks and FirstBank an opportunity to get Instant Settlement in their NaijaBet Accounts. NaijaBet entered into the partnership with the banks in order to enable customers to fund their NaijaBet account from any of the partnering banks without the use of the internet. The whole intention of NaijaBet is to broaden the opportunity for some of its users who rely mostly on the usage of bank transfer and ATM to find convenient means of making payments electronically. The newly launched USSD codes *402*89402543*AMOUNT# (mCASH) will require the customer to select the preferred bank and enter their Order ID (username) as registered on their NaijaBet account. Step-4 You will be required to create a PIN/ PASSCODE. This code will be used for subsequent payments. Once successful, Payment Successful receipt will be displayed on the screen and the money reflects automatically in users NaijaBet Account. FirstBank users are not left out, you can now fund your NaijaBet account using USSD codes. You do not need a card for mCASH payment. Thanks for the feedback. You are welcome. how do I sign up to naija bet. cause I dnt have acc yet. Good day sir, thank you for the inquiry. An email has been sent to you via [email protected]. It contains the procedures on how to register and play the online game. I need all it takes to become an agent of naijabet, gain and other benefits attached please. Good day sir, thank you for the inquiry. An email has been sent to you via [email protected]. It contains the gains and procedures to become a NaijaBet agent. I have tried to learn how to play naijabet but it’s not just working for me. I’m a bacelona fan and believe that with my team , I can win big anytime. Good day sir, thank you for the inquiry. An email has been sent to you via [email protected]. It contains the procedures on how to play the online game. NaijaBet.com, is your number one online bookmakers in Nigeria since 2010. Sports Bettings tips, NaijaBet offers and latest events, Best Odds, Several Beting options, bringing the best news as it happen. Johnson on BUHARI TO ATTEND 2019 PRESIDENTIAL ELECTION DEBATE YES OR NO?